Turmeric has been the interesting spice for research since the time of Ayurveda due to its many sided pharmacological effects on the human health, moreover its naturally existing polyphenols “Curcuminoids” offer an alternate pathway to treat and prevent various illnesses without disturbing the body’s internal system. Turmeric and its active constituents have been used to treat many physical ailments and disorders. Its active component shows more potent effects. 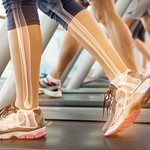 There are many severe problems that are associated with the lungs and any kind of inflammation in the lungs may cause severe breathing problems. Curcumin is one of the nature’s powerful healers and it is proven from various researches that it manages lung associated disorders effectively due to its potent anti-inflammatory and anti-oxidant activity. 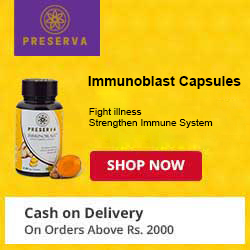 It is found from various researches Curcumin not only regulates the immune system but also increases the immunity. Using turmeric can help lung diseases such as Asthma, emphysema, bronchitis, cough, cystic fibrosis, influenza, etc. and the symptoms linked to these diseases. Existing western medication, including corticosteroids have a poor effect against these diseases because they provide relief for the time being, weakens the immune system and doesn’t offer nutrients and healing property to the body. Here we are going to discuss that how turmeric or curcumin helps certain lung illnesses? •	Asthma is caused due to the excess mucus that may block entire respiratory tract, shortness of breath, coughing, wheezing, chest tightness and inflammation. 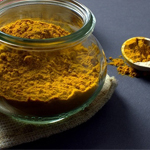 In asthma turmeric or curcumin primarily helps by reducing the inflammation, mucus secretion and at the same time provides generous amounts of anti-oxidants thus improving the condition of the ailing respiratory tract, lungs and other tissues. It improves breathing capacity and reduces the respiratory obstruction. It also exerts anti-allergic and anti-microbial action, which is an additional advantage. •	Turmeric or curcumin equally works for the COPD (Chronic Obstructive Pulmonary Disease), the disease which is similar to Asthma. •	Emphysema is a lung disease that causes short breath due to over inflation of the air sacs, which makes exchange of gasses (carbon-di-oxide and oxygen) tough and the air get trapped in the air sacs of the lungs. It blocks the inflammation, increase the natural anti-oxidant level and prevent the free radicals formation. Turmeric or curcumin protects and restores air sacs and inhibits inflammatory cells formation. •	Bronchitis is the inflammation of the bronchi, which is the starting passageway that goes to the lungs. Symptoms include fever, build-up mucus, sore throat, fatigue and chest tightening. Here turmeric or curcumin prevents the NF-kB signal pathway and simultaneously inhibit the macrophage activation, in this way it reduces the ongoing inflammation in the lungs. Bronchial inflammation due to bronchitis may cause secondary infection, swelling and additional toxins that will increase the free radicals in the entire airways, which may cause cell damage, hence anti-oxidants present in the turmeric or curcumin provides protection to the bronchial cells and neutralise the toxins, curcumin also stimulates the immune system and helps overcome and subside the symptoms linked to bronchitis such as fever, shortness of breath, body ache, cold and cough. Turmeric also helps by preventing and blocking the bacterial and viral growth. •	New research tells that turmeric present in curry could help in Cystic Fibrosis . It is a hereditary disease which causes excess and thick production of the mucus that blocks the bronchi, intestine and pancreatic duct, eventually infecting the respiratory system, trapping the bacteria and it gets tough to overcome the bacterial growth and inflammation since mucous clogs the entire airways as well as lungs and other nearby organs (pancreas, liver and intestine), people suffering with cystic fibrosis have lesser chance of survival and their life may end up soon. Here curcumin helps through removing the inflammation and correcting some genetic defects, which induces cystic fibrosis. It is a life threatening disorder which severely damages the intestines and lungs. •	Turmeric and its active component may also help Pneumonia , which is a lung related disease which comes with a number of severe symptoms such as cough, fever, chills, low appetite and chest pain. In this regard turmeric strengthens immune system, provides anti-oxidant, combat with bacterial infection and protects lungs from inflammation. •	Turmeric or curcumin is rich with anti-oxidants. •	Turmeric or curcumin has potent anti-inflammatory action. •	Turmeric or curcumin has anti-viral and anti-microbial properties. •	Turmeric or curcumin boosts the immune system and prevents allergies. All these properties help to treat lung diseases and restore normal pulmonary functions. Curcumin present in curcuminoids scavenge the toxins, modulates certain signal pathway, weaken the effect of pro-inflammatory chemicals and stimulates the gene expression. Now it is concluded that turmeric and curcumin are the main therapeutic agents that can protect the lungs from various infections. Turmeric and curcumin both are one of the powerful natural ingredients that offer safest route to heal and cure all the lung related disorders, these are proven more beneficial than the western medications, which is commonly used to treat lung disorders, especially corticosteroids and non-steroidal anti-inflammatory drugs.